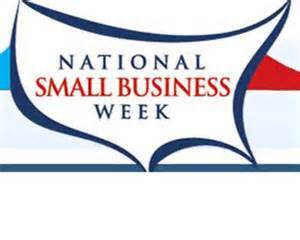 Today marks the 50th year of National Small Business Week. Although many things have changed over the years with the fluctuation of the global economy, one thing that has not changed is America’s entrepreneurial spirit. In efforts to recognize all of these small, but crucial components that make up our economy, National Business Week is a national recognition event to honor the top, go-getters of America. This year offers daylong events held in Seattle, WA; Dallas, TX; Saint Louis, MO; Pittsburg, PA; and Washington D.C. Panel forums include topics on government contracting, health care, access to capital, and international trade among with a plethora of keynotes and presentations from notary entrepreneurs. Research claims that small businesses create two out of three net new private sector jobs in our economy. And today, half of Americans either own or work for a small business. There are an estimated 29.6 million small businesses in the United States. Since 1990, as big business eliminated 4 million jobs, small businesses added 8 million new jobs. In honor of National Small Business Week, Collideascopes will be posting articles highlighting the small business that did what it required to make a mark in their industry, tips to apply so your business doesn’t go belly up, case studies, and innovative solutions and trends in the market. Let’s take a day and go to our local market for groceries one night, support an off-Broadway show, or book a photo-shoot with the community photographer. You will surely get a bang for your buck, along with see firsthand what benefit you provide for the ambitious entrepreneur! High-priced ads and sponsorship fees lead to more ambush marketing. Companies use subtle techniques to link themselves to March Maddness. With Ray Lewis playing his last game, the Harbough sibling rivalry for the Lombardi Trophy, and the electrifying performance by Beyonce Knowles, there was a lot of excitement with this year’s Super Bowl. There was, however, one surprise that no one was prepared for -The 35 minute Blackout. Yes, half of the Superdome went without power towards the end of the third quarter preventing the game to continue. As technicians frantically scrambled around trying to resolve this issue, the anxiety of the players and coaches heightened. They were only a few commercials during this unforeseen incident (all CBS in house promos) while the rest of the time was filled with commentary about the players stats and uncertain updates regarding the power failure with the occasional pause for the commentators to collect their thoughts on what they would say next. Clearly, nobody was prepared for something so unexpected. –Especially the owners of CBS. After all, marketers make enormous investments for a 30 second commercial slot. If we were to estimate 4 million dollars per 30 second slot during the duration of the blackout, CBS would have made a womping total of 4.2 billion dollars! I’m sure next year CBS will be better prepared for any unplanned situations. One thing I would suggest is upselling their advertising slots for any potential delays in the game. If there are no incidents, with the technological advances dealing with the World Wide Web, CBS and the Marketers should create an agreement where the ads that were not featured on television, would be features on the Live Stream for a discounted price.